For PEM’s latest exhibition, curators Daisy Yiyou Wang and Jan Stuart spent four years making trips to the Forbidden City in Beijing to investigate the largely hidden world of the women who lived inside. There, Wang and Stuart delved into the vast imperial archives and treasure house at the Palace Museum, embarking on new research to unveil the intriguing lives of the empresses. Despite the stringent palace rules that kept them largely away from public view, these empresses led remarkably complex and inspiring lives,” notes Wang, PEM’s Robert N. Shapiro Curator of Chinese and East Asian Art. “This exhibition is thrilling in that it opens a silent yet colorful book about how these women helped shape the course of history. Empresses of China’s Forbidden City is the first major international exhibition to explore the role of empresses in China’s grand imperial era — the Qing dynasty, from 1644 to 1912. Nearly 200 works, including imperial portraits, jewelry, garments, Buddhist sculptures and decorative art objects from the Palace Museum, Beijing (known as the Forbidden City), tell the little-known stories of how these women influenced art, religion, court politics and international diplomacy. At more than 7 million square feet, the Forbidden City is the world’s largest palatial complex. More than two dozen empresses lived there along with 10 emperors in the Qing dynasty. Yet, the emperor-centric court recorded very little of these women’s lives. “The exquisite objects made for, by and about the empresses gives us a better understanding of these complex women and their veiled world,” says Stuart, the Melvin R. Seiden Curator of Chinese Art at the Smithsonian’s Freer Gallery of Art and Arthur M. Sackler Gallery (Freer|Sackler). The exhibition presents a rare opportunity to see treasures from the Forbidden City, including works that have never before been publicly displayed and many of which have never been on view in the U.S. The exhibition (on its exclusive U.S. tour) is organized by PEM; the Smithsonian’s Freer|Sackler, Washington, D.C.; and the Palace Museum, Beijing. 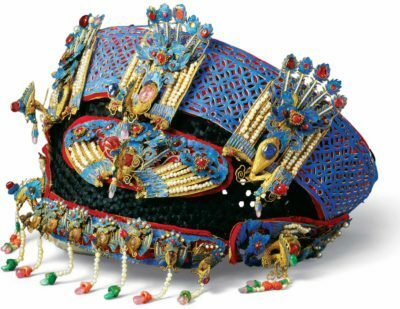 Festive headdress with phoenixes and peonies, Tongzhi or Guangxu period, probably 1872 or 1888–89, probably Imperial Workshop, Beijing, silver with gilding, kingfisher feather, pearls, coral, jadeite, ruby, sapphire, tourmaline, turquoise, lapis lazuli, and glass; frame: metal, wires with silk satin, velvet, and cardboard, Palace Museum, Gu59708. © The Palace Museum. On view in Empresses of China’s Forbidden City. Bracelet with dragons and pearls (detail), probably 19th century. 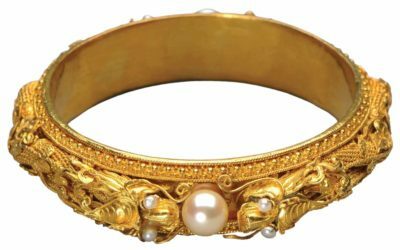 Gold with pearls, Palace Museum, Gu11970-2/2. Image © The Palace Museum. The Qing imperial court was strictly patriarchal and hierarchical. The empress’ primary duty was to bear a son to continue the imperial line, but she was more than the borrowed womb of the dynasty. She also headed the imperial harem and could influence the emperor. She was regarded as the “mother of the state” and a role model for all women. Moving boldly against the tradition that “women shall not rule,” some empresses took more direct control of state affairs in challenging times. Presiding over the state ritual of promoting silk production and the textile industry, empresses honored women’s vital economic health of the state. 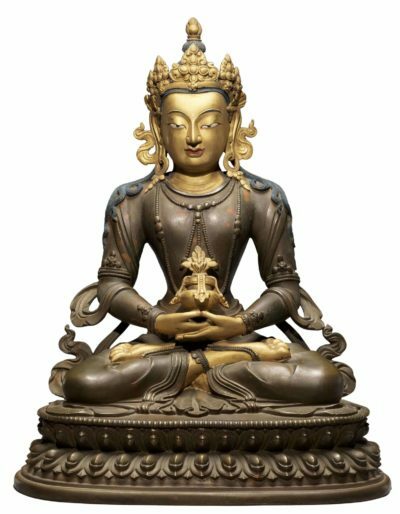 A number of empresses played a prominent role in art patronage and religious activities. They did not bind their feet and could learn to ride and hunt. 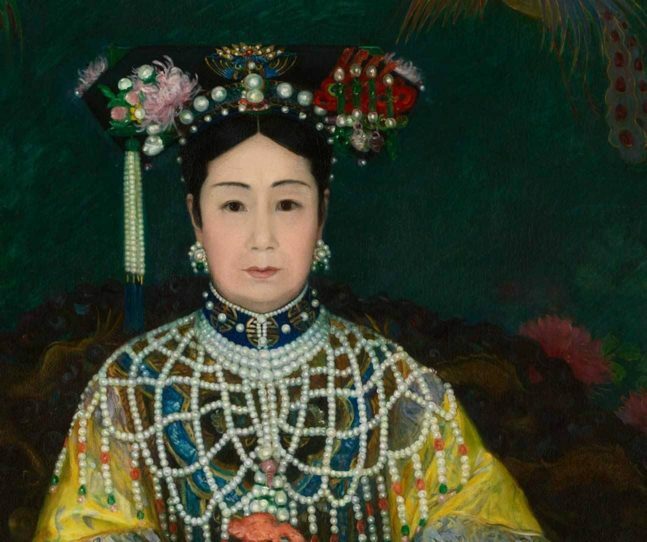 This exhibition focuses on three key figures: Empress Dowager Chongqing (1693–1777), Empress Xiaoxian (1712–1748) and Empress Dowager Cixi (1835–1908). Their life experiences revolve around six core themes: marriage, power and roles, lifestyle, religion and political influence. Chongqing came from humble beginnings. Her son eventually became the Qianlong emperor and staged grand celebrations for his mother’s birthdays, honoring her as the Sage Mother of the state, a status captured by two life-size portraits of Chongqing in the exhibition. Following her death, her son commissioned a 237-pound gold stupa encrusted with gemstones to hold her hair, also featured in the exhibition, which marks its premiere outside of China. 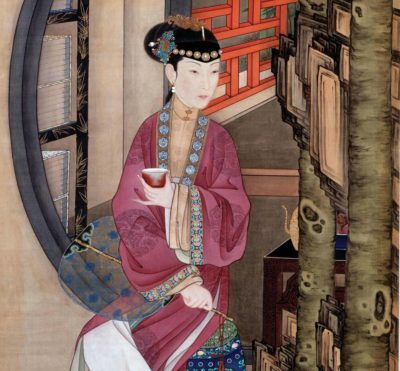 As childhood soulmate and confidant of the Qianlong emperor, Empress Xiaoxian closely attended to her husband as he endured a months-long illness. At the age of 36, she fell ill and died while traveling with her husband. In response, the heartbroken emperor composed a poem to mourn his beloved wife. Empresses of China’s Forbidden City is the first exhibition to reveal this soulful elegy to the public. The exhibition culminates with a commanding 16-foot oil portrait of Cixi, one of the most powerful female rulers in Chinese history. It was her gift to President Theodore Roosevelt in 1905. Cixi directed the American artist Katharine Carl to create an image of a youthful and benevolent ruler to express her goodwill to people in America at a time when the U.S. and China were experiencing challenging relations. The study of women in history is exciting, timely and necessary,” says Wang. “We hope this exhibition not only dazzles you but also prompts broader reflection on the position of women in society and a sense of commonality and connection across time and cultures. Empresses of China's Forbidden City is on view August 18, 2018-February 10, 2019. 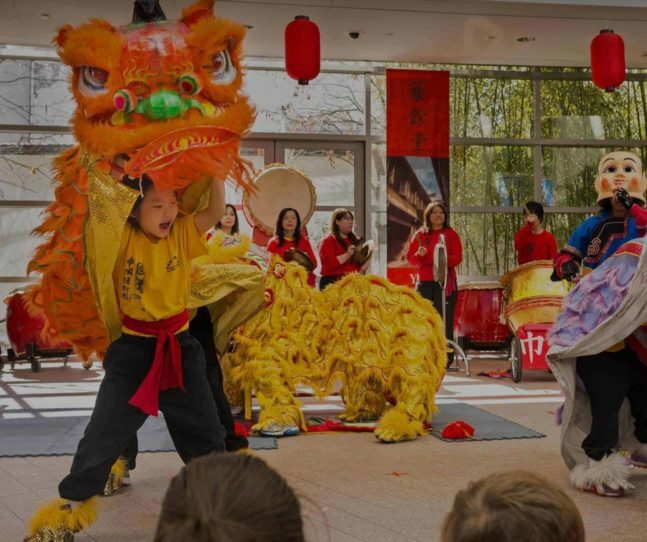 Join us for a day full of programs, including talks by curators, art making and music. 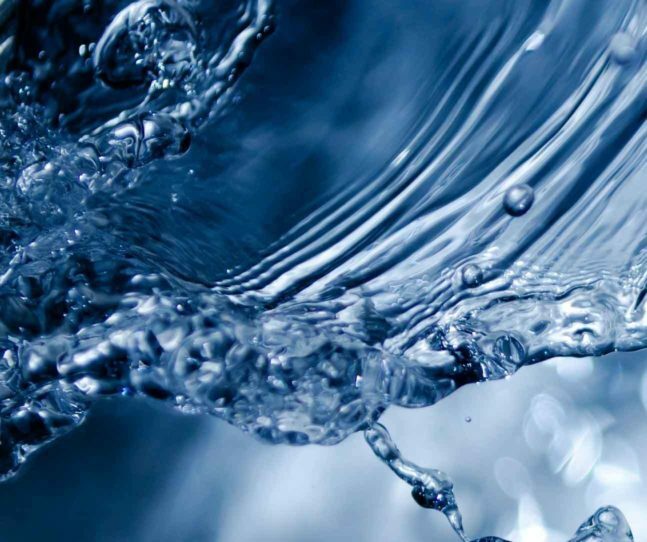 Visit pem.org/whats-on to learn more.